It looks like WOW Air has indeed found a new investor, and suffice to say that I’m very curious to see how this works out. WOW Air has been struggling financially for a while, in particular following the collapses we’ve seen of some European airlines lately. At the beginning of November it looked like Icelandair would acquire WOW Air, though that deal ended up falling through. Then at the end of November it was announced that Indigo Partners had signed an agreement in principle to invest in WOW Air. I was curious to see if this deal would in fact go through, given that WOW Air seems to be deteriorating by the day. So there’s an update on this front. The companies have now completed due diligence, and will work to close the investment as soon as possible. Indigo Partners will acquire some of the shares in WOW pursuant to a share purchase agreement. Furthermore, Indigo Partners is contemplating issuing a new super senior convertible loan to fund the recovery of the business. Assuming successful diligence, structuring and documentation would be for an amount up to 75 million USD. The Company has on the date hereof given instructions to Nordic Trustee & Agency AB (publ), being the agent under the Bonds, to initiate a written procedure in order to request that the bondholders (i) consent to the release of the security over the shares in the Company, (ii) approve certain amendments of the terms and conditions as further set out in the notice of written procedure, and (iii) waive all defaults under the Bonds. Any consent given by the bondholders to the abovementioned request will lapse and be deemed void if the Purchase has not been completed by 28 February 2019. The agent will dispatch the notice to the written procedure to all bondholders on 14 December 2018 in accordance with the terms and conditions of the Bonds. The written procedure will end at 17:00 (CEST) on 17 January 2019. The record date on which a bondholder must own Bonds in order to be eligible to vote in the written procedure will be 20 December 2018. This still isn’t a sure bet, though it does seem like they’re planning on moving forward, and potentially have some of the cash that WOW Air desperately needs. I’m still curious if Indigo Partners thinks they can actually make WOW Air profitable (the airline hasn’t turned a profit since it started), or if they simply think they can make WOW Air a more attractive acquisition target. Do you think Indigo Partners’ takeover of WOW Air will happen? 1. Get bondholder approval for the investment by January 17. 3. Close by February 28. The bondholder approval (if received) will expire after that. Amusing you’d think this is to turn the company around…this is purely an acquisition play, don’t be surprised to see IcelandAir back in the mix. @Gregg, that would be a very unusual outcome for Indigo Partners. Indigo is Bill Franke, who back in the day was brought in to rescue and run America West. He hired a bean counter from American Airlines to groom for the CEO role — that was Doug Parker. Doug eventually took over and Franke went on with his new Indigo Partners venture to save and own a controlling interest in Frontier. He then helped Doug and America West buy US Airways, and then American — now the largest airline in the world. Franke and Indigo don’t make a lot of investments they can’t make a lot of money on. It’s not clear what the play here is with WOW, but if they complete due diligence and move forward it promises to be interesting. 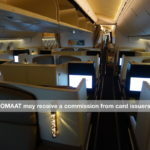 Seems an easy and inexpensive way for frontier flights to connect to Europe.